us touching just didn’t feel right. She isn’t really mine, you know. to clean. There isn’t much pure about me. before feeding was a kind of disgrace. en route to her faith made it quiver, made it sing. her waters washing original from our sin. Darrel Alejandro Holnes is a poet and playwright. 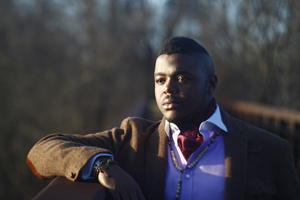 He is the recipient of scholarships to Cave Canem, and the Bread Loaf Writers’ Conference, various awards, writing fellowships, and writer’s residencies. He and his work have appeared in the Kennedy Center American College Theater Festival, TIME Magazine, Callaloo, the Caribbean Writer, on the Best American Poetry blog as one of the Phantastique 5, and elsewhere.